We are really happy to be featured and interviewed in Romerikes Blad. 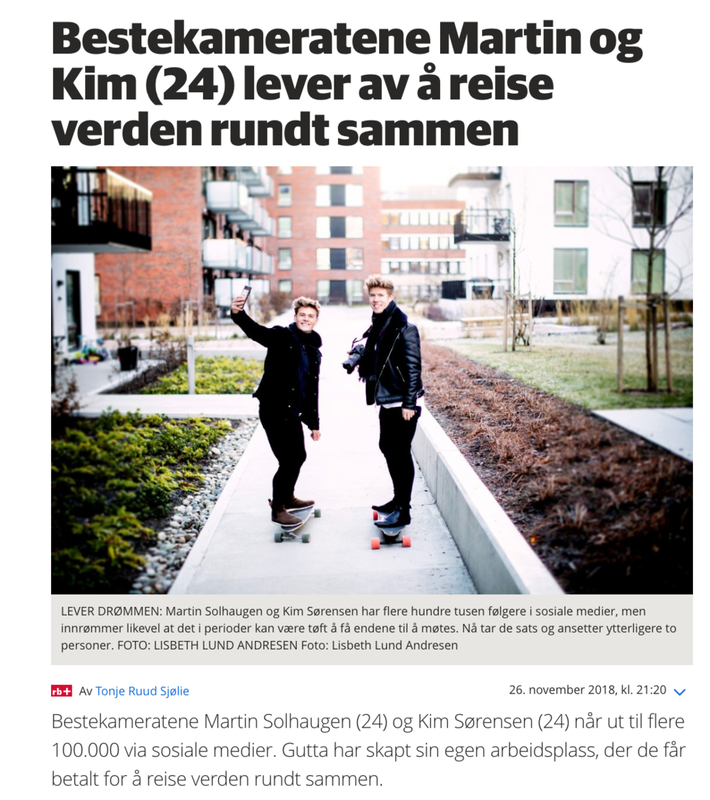 The News article reads “The Bestfriends Martin & Kim lives of traveling the world.” At this point our Concept Reisegutta is 10 months old and we have so many great stories to tell. We are really excited to see what the future holds. Stay tuned.